Shinjuku Gyoen National Garden is one of largest and most popular garden park in Tokyo Japan which is quite close to Shinjuku Station. 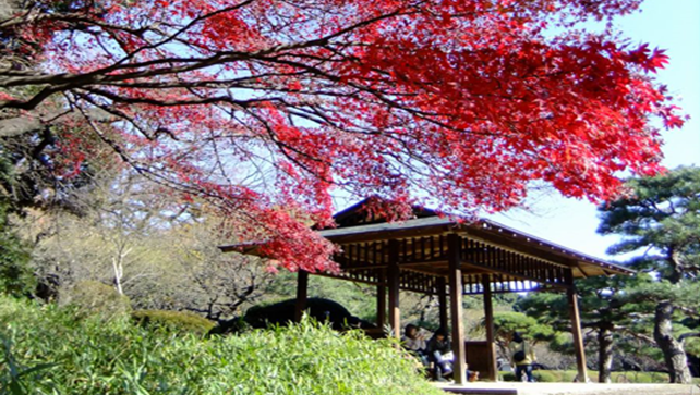 The garden park provides relaxcing time with thousands of trees and flowers despite located in huge city. There is no reason not to go there if people like to escape from busy urban center in Tokyo. 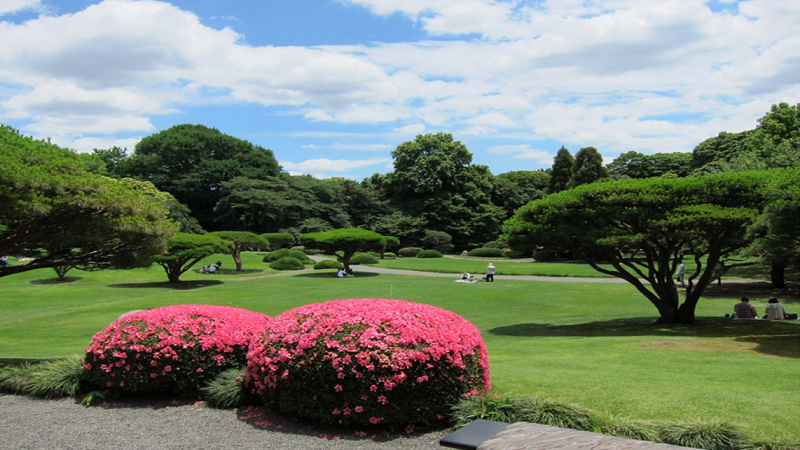 The area of this garden park is 58.3ha around 3.5km. 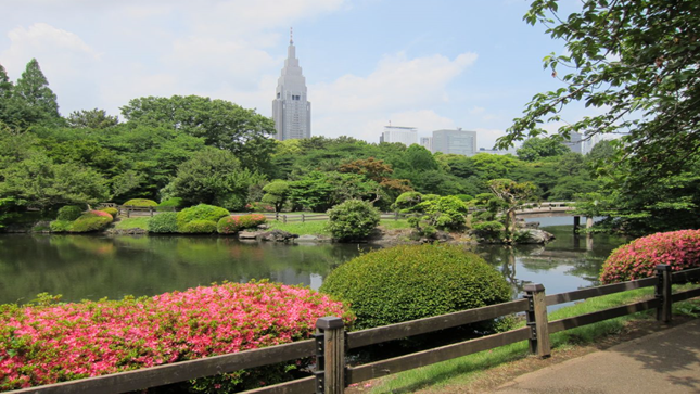 Shinjuku Gyoen was build in 1906 as imperial garden origginally with a concept in combination of French style garden, UK landscape garden and Japanese landscape garden. 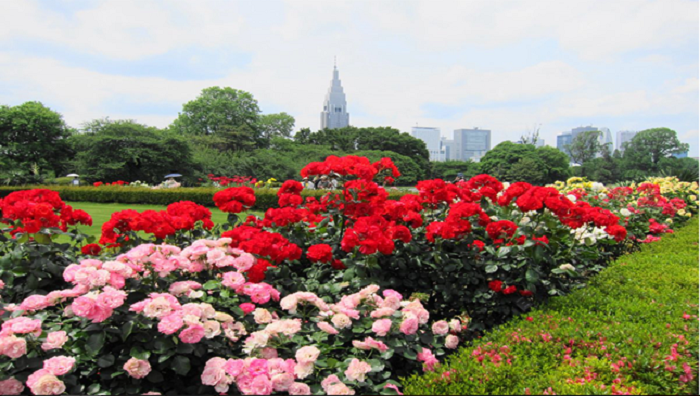 But it was almost completely destroyed in World WarⅡ and rebuilded as a public park garden. 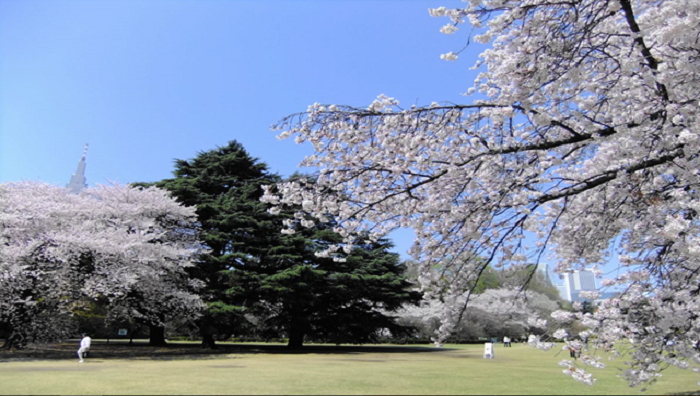 Shinjuku Gyoen is very famous for wide variety of Cherry blossoms of about 65 types of cherry trees and total number of the tree is 1,100. 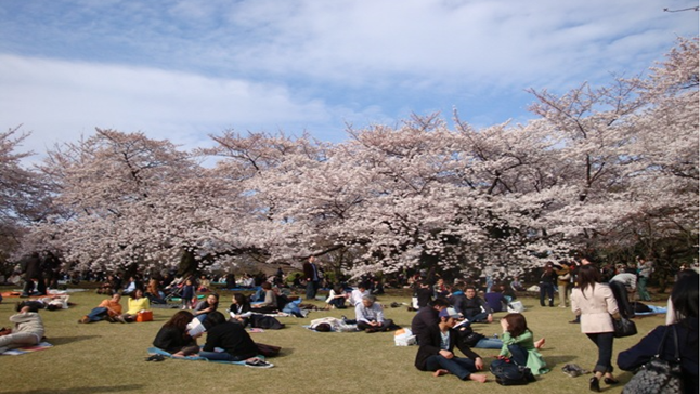 In addition, Shinjuku Gyoen is one of most polular place for Hanami which is long established japanese custom that eating with friends on picnic sheet around cherry trees. Main season of cherry blossom is mid March to mid April and extremely large number of people come to Shinjuku Gyoen on the season. 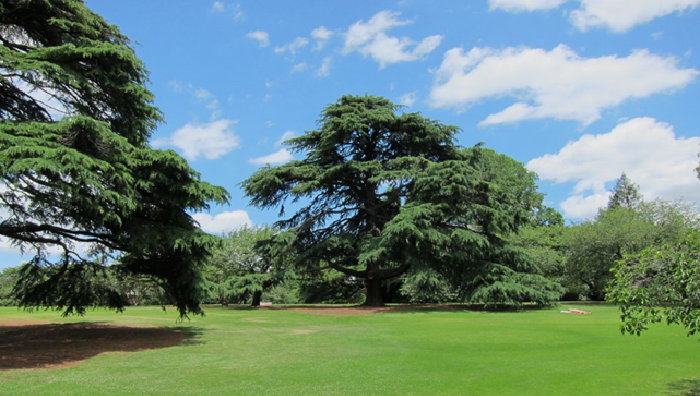 The feature of the area is tulip trees over 30m in height and planes surrounded by spacious lawn. The landscape of Shinjuku buildings peeking from these trees is unique urban oasis. A symbol of the French garden is 110 types of flowers blooming in beautifully formatted left-right symmetry garden and 156 plane trees are on stands for 200m. You may feel European atmosphere in this area. Many kinds of trees are on stands at Japanese garden such as Cherry, Plum and Maple trees that provide seasonal landscape.